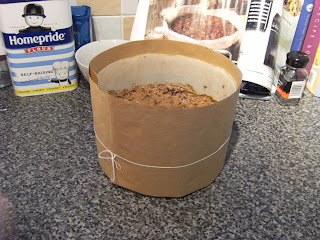 Wrap 2 layers of brown paper around the outside of the tin leaving a good inch above the top of the tin. Use the cotton to secure this. Pop in the oven for 3 to 31/2 hours. Use a skewer to make sure the centre is cooked through. 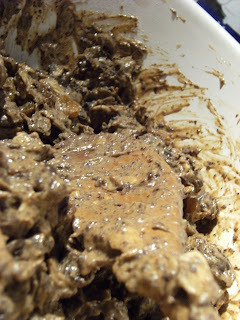 Once cooked leave in the tin for 10 minutes, then take the cake out (leaving it in the greaseproof) and let it cool on a cake rack. Once cold, wrap in clingfilm and then tinfoil and pop it in an airtight container. 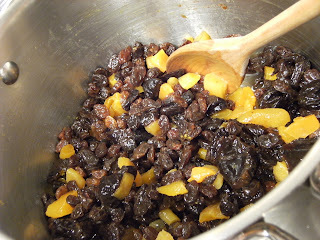 After 2 weeks add the tablespoon of rum & re-wrap the cake. It will last for up to 3 months. I like the idea of chocolate in a Christmas cake. Where is your fab grater from? 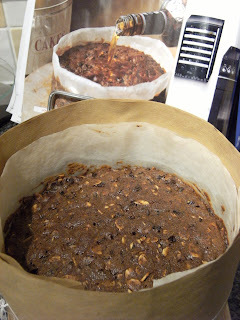 What a wonderful recipe and with chocolate too :)) One very gorgeous Christmas cake indeed!! BTW you have an amazing Blog!! Hi Jules. The grater is an Alessi one, though I cant remember where we bought it. 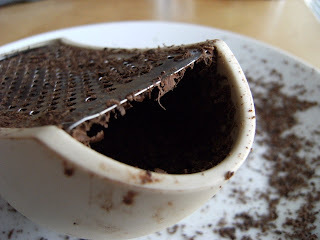 Its a parmesan grater really but good with anything that you want finely grated. I have great successes with Good Housekeeping recipes. The list of ingredients speak for themselves. Hope your cake eats well – keep us posted. 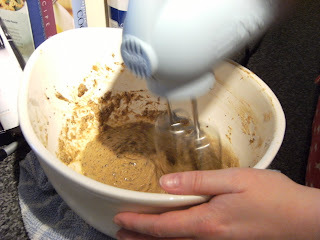 Love the cake recipe and the nice pics to guide me along too :) Can’t wait to try it out! Thanks! Nice looking cake! I wish I could say my Christmas baking had begun.